With our unique Classform horse racing software, you can pick your own winners in minutes. All horse racing systems both flat and jumps quickly narrow down a field to just a few “live contenders”. We will show you how to use this excellent winner finding tool to pinpoint winners. If you take your racing seriously and want to improve your chances of winning, then this simple to operate horse racing software comes with easy to follow instructions, full guide and race examples. How to use instructions are available on all online horse racing systems and downloads. The Pro System provides that winning edge we all need in picking winners on the flat. Access to visual graph when viewed online. Manual imput required. Designed for punters who want to download race cards from the internet. Picks the probable race winner for you. Horse racing system for picking winners over the jumps. Access to visual graph when viewed online. Manual imput required. 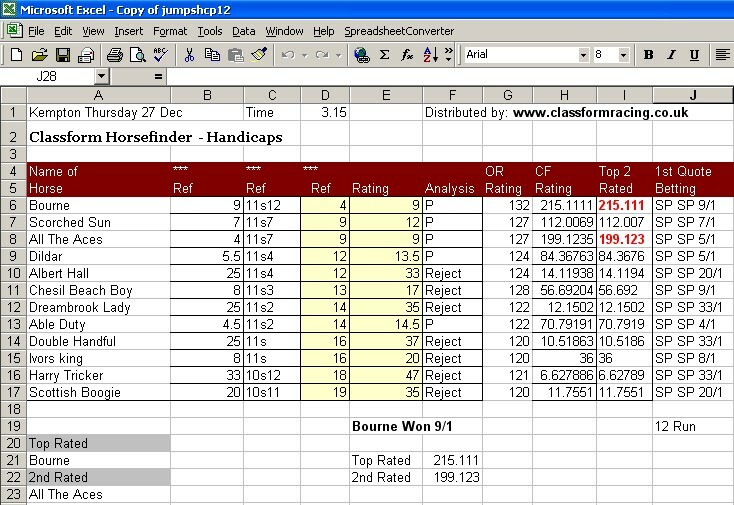 Our horse racing software works in Handicap and Non-Handicap races, and is extremely simple to use. 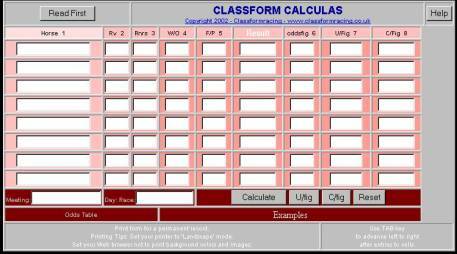 Required variables easily obtained from racing post or internet. If you are looking for that extra edge and win regularly, then our horse racing software is for you. There are no long lists or form study, no updates, and no repeat fees, it lasts forever. Quickly narrow down a field to just a few “live contenders” and pinpoint the winners. Simple to operate uk horse racing software – even beginners can understand, comes with easy to follow instructions, full guide and race examples. Make your racing pay! Improve your chances of winning! Gain the extra edge!